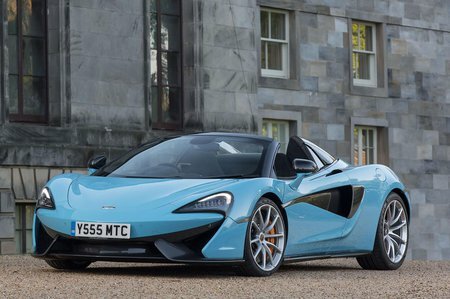 McLaren 570S Spider Interior, Sat Nav, Dashboard | What Car? You sit low inside the 570S Spider, fitting perfectly with the car’s performance intent and making it feel special from the moment you climb in. It’s comfortable, too, with plenty of adjustment both to the steering wheel and the supportive driver’s seat. Visibility is also good thanks to slim carbonfibre door pillars, which is handy when it comes to parking such a low, wide sports car. 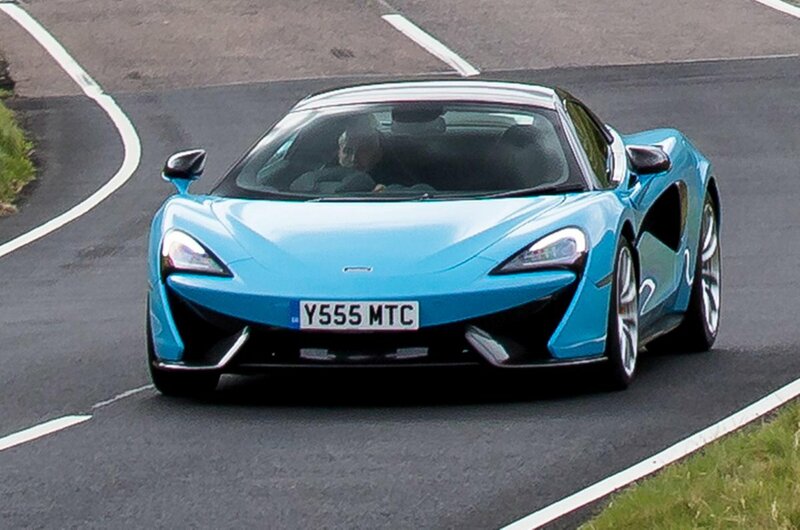 The interior layout is identical to that of the 570S Coupé. You get a customisable screen in place of conventional instrument dials, plenty of high-end leather or soft-touch plastic on all the surfaces you’re likely to touch, and McLaren’s 7.0in Iris infotainment touchscreen in the centre of the dashboard. Just as we’ve found in the Coupé, this system works fairly well, but its small icons can be difficult to hit on the move. Its graphics and menus aren’t quite as polished as the Audi MMI system in the R8 Spyder, either. 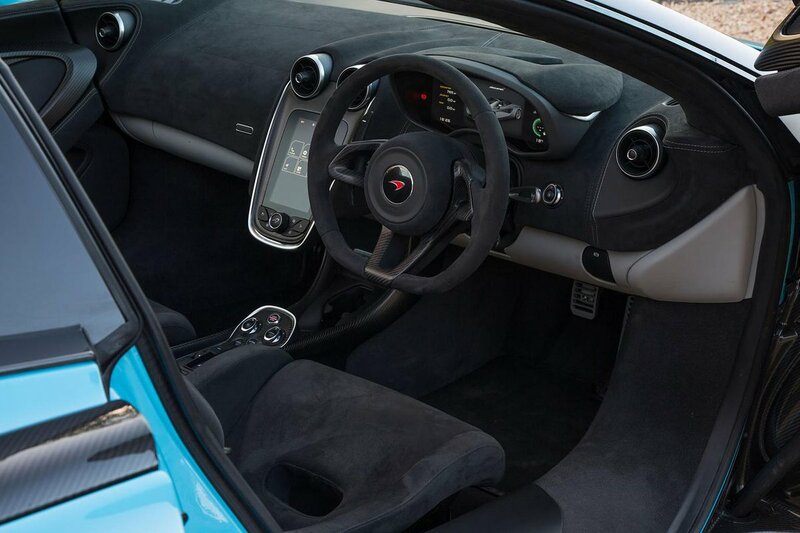 The major differences inside the 570S Spider are the two small buttons on the centre console. The first raises or lowers the hardtop roof, which takes 15sec and can be operated while you're driving at speeds of up to 25mph. The second button operates a wind deflector that helps to keep your hairdo intact at speed. When the roof is down, it’s stored under a stylish tonneau cover at the rear of the car.